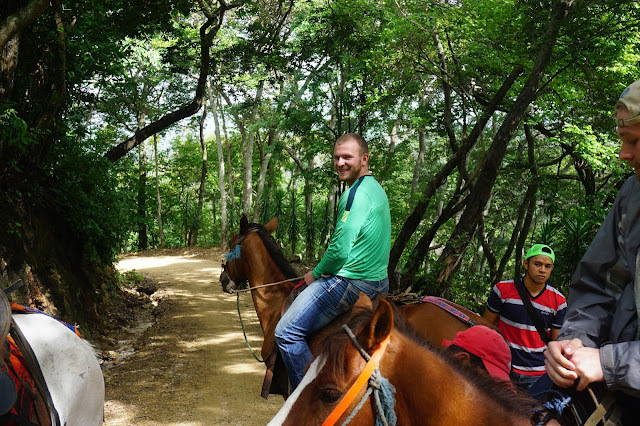 In the two weeks we’ve been here, Nicaragua has proven itself to be a country of unexpected adventures, each day filled with comical events, experiential learning, and important reminders of the people affected by war, corruption, and poverty. In the two weeks we’ve been here, Nicaragua has proven itself to be a country of unexpected adventures, each day filled with comical events, experiential learning, and important reminders of the people affected by war, corruption, and poverty. This past Saturday in the mountains outside of El Sauce was no exception. After Friday night’s hike through the woods in the darkness we arrived at the home of our host family, ready to rest and take on the next day’s adventures. Myself and the four others I was staying with tried our hardest to sleep through the ringing alarm clock of the rooster early in the morning before admitting defeat and rising for the day. We were greeted with the delicious breakfast prepared by our wonderful host mother and before we knew it we were on our way again, through the woods to reach our next destination. It took about 30 minutes of an uphill battle to finally reach the main road and another 10 minutes before our savior- the truck driver- picked up our exhausted and out-of-shape selves and brought us to our group meeting point. 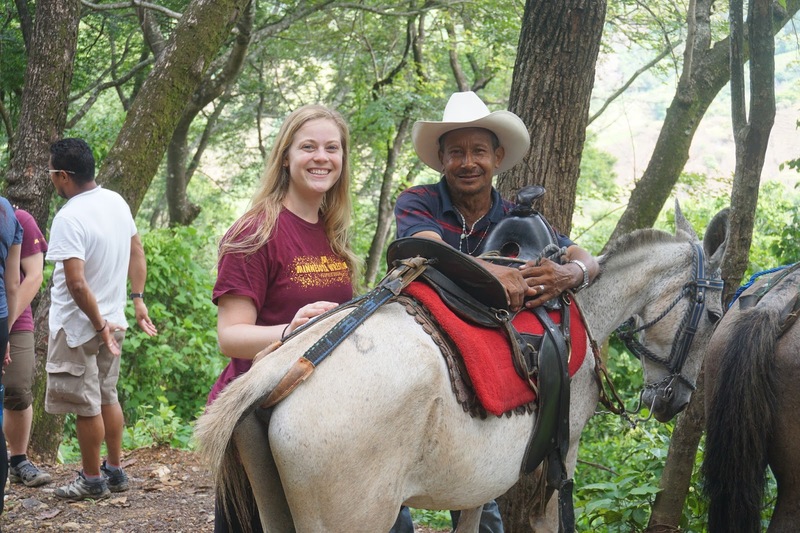 Our day was filled with horseback riding to and from the homes of community members growing organic coffee on the wooded hills of their backyard. Here, we would learn the delicate process of manually preparing the coffee beans and eventually enjoying the rich taste of our labor. 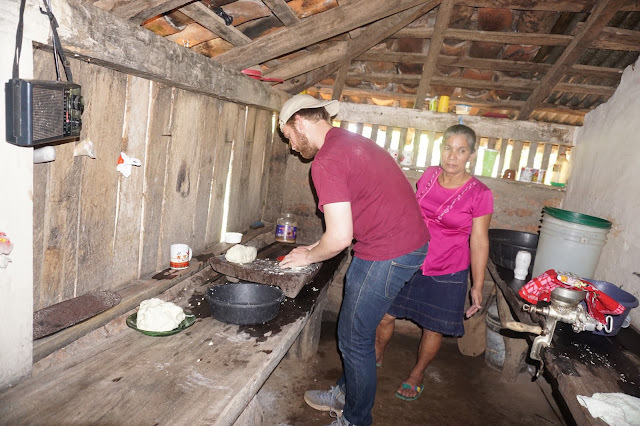 While these experiences brought many laughs, engaging conversations, and maybe even a new profile picture for some, perhaps the most striking part of the day was when we learned to make tortillas at the home of another family in the community. Although I now have the skills to completely upgrade my Taco Tuesday game, I was struck by the humble home of the people who so graciously opened their door to us. The quaint house, with only one room for everyone to sleep in and a kitchen with a simple wood stove and a couple boards for working, was a humbling reminder of the very real poverty that persists in this community. The day left me with what felt like a juxtaposition: trying to really digest and cope with the extreme poverty I witnessed while still trying to remain sensitive to it. I feel bad for continuing on with my normal daily life (or somewhat normal here in Nicaragua): answering emails, thinking about future career goals, sifting through photos of the weekend, dreaming about the juicy cheeseburger I’m going to eat when I get home. But as I continue to reflect and process, I am more aware of the responsibilities that these experiences have bestowed upon me. I can’t say I know exactly what these responsibilities look like, but coming back to my group’s sustainability project with new motivation, new perspectives, and new sense of urgency so that we can impact communities like these is one place to start.